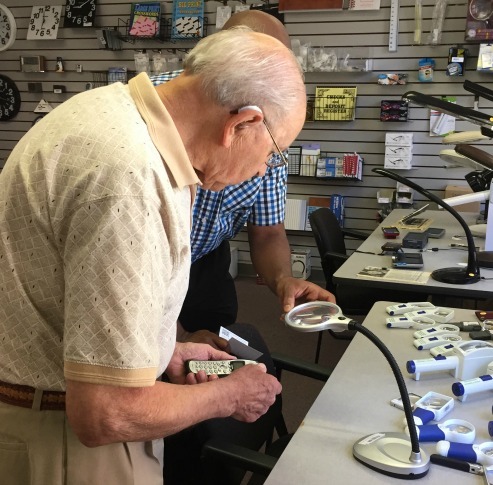 A magnifying desk lamp provides directed light and magnification that can be used for reading or for performing hobbies. 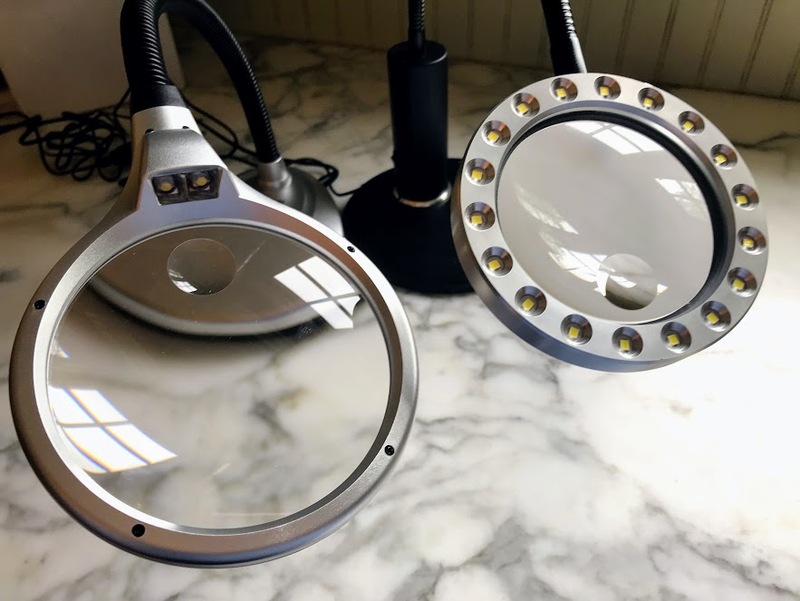 On the left is the Carson Desk Lamp which uses 2 LED lights. 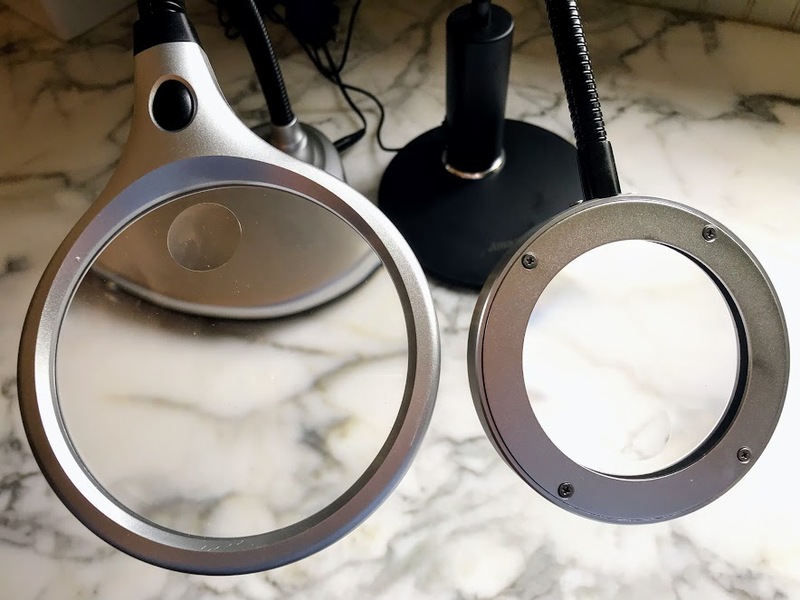 On the right is the AmazLab desk lamp magnifier that has a circle of 18 LED lights. The USB cord can be plugged into a computer or portable cell phone charger so you can use the lamp anywhere even if there is no outlet. The ring of LED lights help to evenly distribute the light for better clarity and focus. The sturdy metal base prevents any tipping and the quality gooseneck arm is easy to adjust to any position. 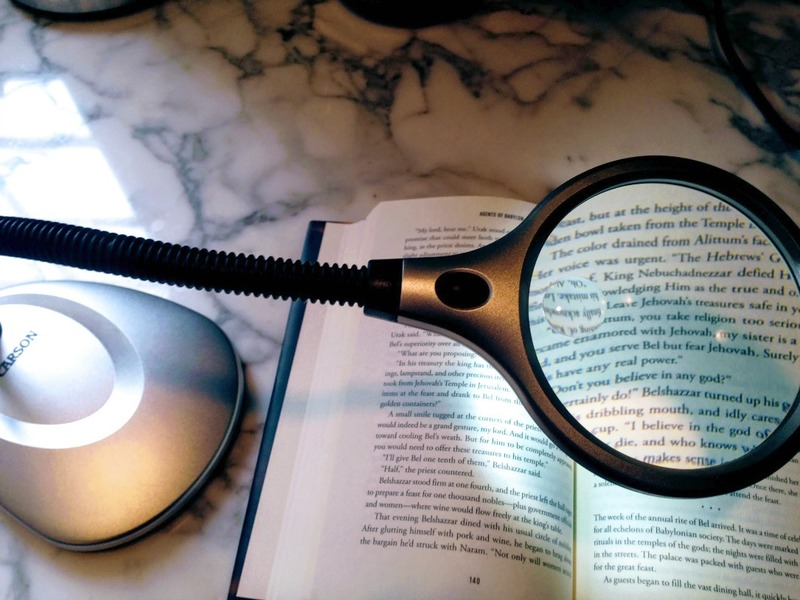 Amazlab Magnifying Desk Lamp USB Cabled, 3x & 6x Spot Magnifying Glass, Adjustable Gooseneck with LED Lights. 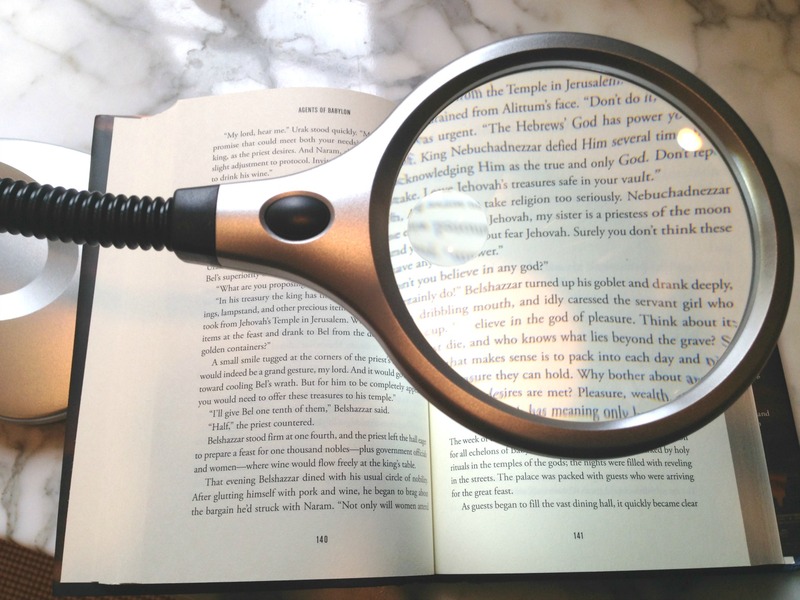 Obviously, the closer the light to your reading material the better the illumination. The farther the light source, the less illumination. Aim your light onto your page or hobby work in a way that illuminates but doesn't create glare or shadows. You may have to adjust it several times to find the position that will maximize visibility that's best for you. 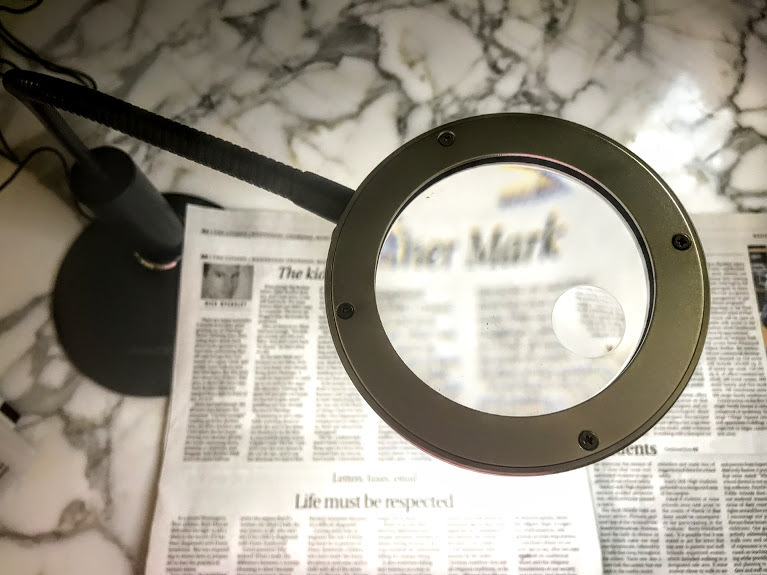 Continue to perform your hobbies or read your favorite magazines or books with a magnifying desk lamp.